So, there’s something Bouncy and Beasty coming to the neighbourhood, so I thought I’d let you know. 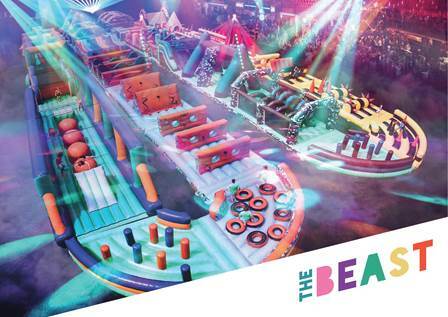 Tickets are now on-sale today for the world’s largest inflatable obstacle course, The Beast returning to the UK at the NEC, Birmingham this December. At an unbelievable 272m long, The Beast is the ultimate nostalgic bouncy castle experience for adults. Unleash the beast this December and run, bounce and dance your way around the phenomenal 32 obstacles open to the public for eight days only – the perfect office, family or group party! Take on The Beast and enjoy a feast of Birmingham’s finest street food vendors washed down with craft beer, cocktails and prosecco on tap. Live DJs will combine with an extraordinary sound and lighting show that will complete the most ridiculously fun day out you could possibly imagine. Tickets are limited and expected to sell out very quickly so don’t miss out by booking yours today. The Beast sessions are ticketed and will run throughout the day in 30 minute blocks from 10.00am to 11.00pm, with morning sessions for kids, from Friday 8th December – Sunday 17th December. Spectator tickets are also available and will gain access to the food, drink and party areas which will be open throughout. NOTE: This is not a sponsored post or endorsement, just news of something happening in Birmingham you might want to know about. Next Saturday (11th November) will be the inaugural Unda’s Saturday Kitchen, where guests will be able to join in the fun and let your inner chef skills shine. Chef Unda will show each participant how to cook and present 3 different dishes, of course while enjoying a complimentary Bellini. Pull up a chair at our open kitchen, sip a Bellini and allow chef Unda to show you how to cook and present 3 different dishes professionally, then use your new found culinary skills to wow your friends at your next dinner party! 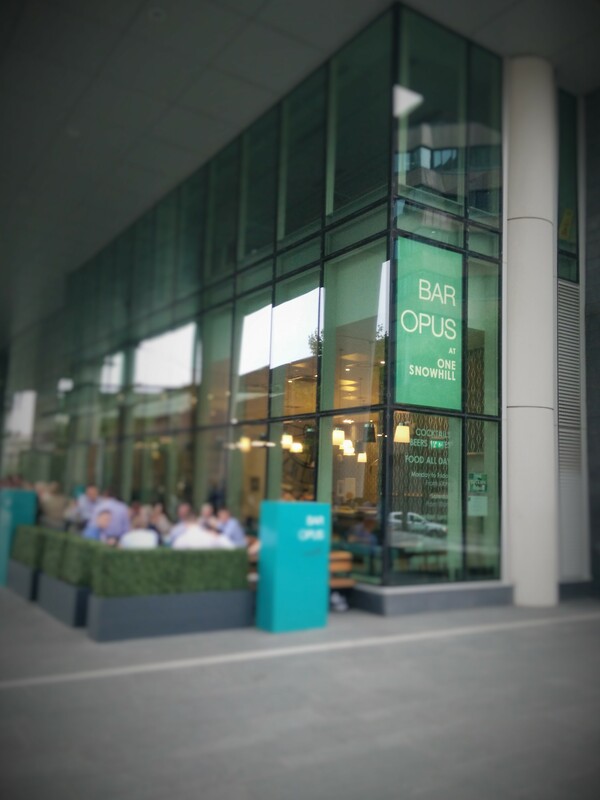 Bellini on arrival, 10% off lunch at Bar Opus. Limited to 6 places per session. Ever wanted to truly master the art of meringue making? Keen to conquer perfect peaks and piping techniques? Ever wondered what the difference is between French, Italian and Swiss meringues? The Crown Inn in Hallow, Worcestershire will hold its first meringue masterclass on Tuesday 5th September. 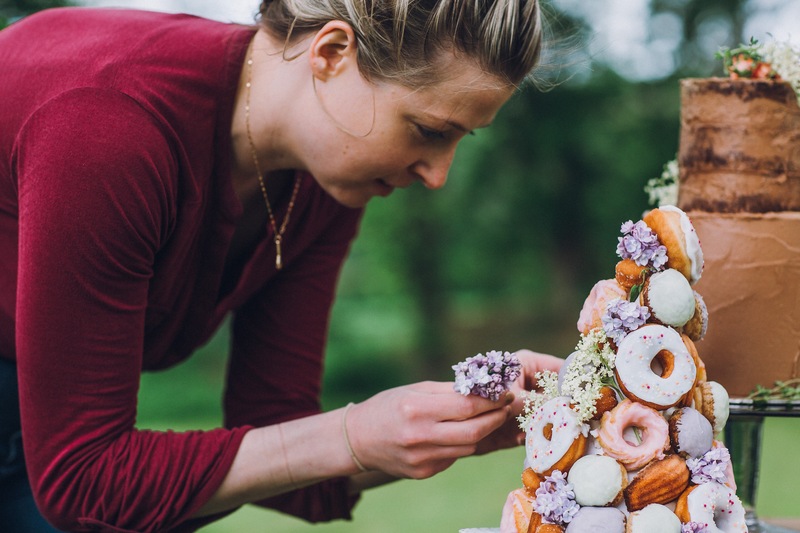 The masterclass will be run by Bakery Product Developer & Pastry chef Elle Townsend, who has designed award-winning cakes for the likes of Harrods, Fortnum & Masons and The Conran shop. Elle’s passion for food began at Nottingham Trent University, where she realised she could combine her love of baking with her passion for craftsmanship. Following stints in hotels and restaurants, Elle began working with artisan patissiers before moving into product development and cake design, working with Harrods, Fortnum & Masons and The Conran Shop. Tuesday 5th September, from 7pm. Tickets are £20 and include a glass of Prosecco on arrival. To book your ticket simply call The Crown Inn on 01905 640 408.